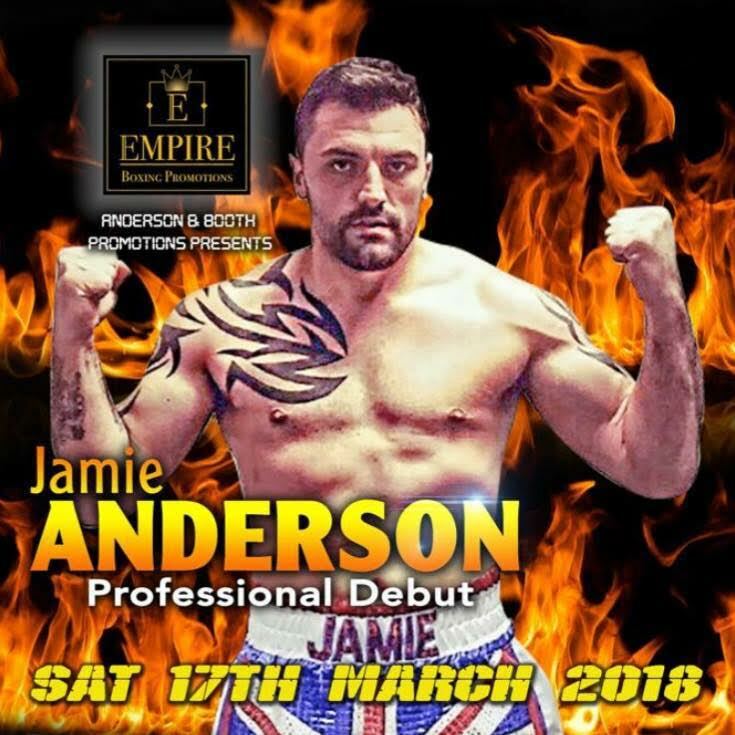 Jamie Anderson is not only one of Britain’s newest licensed professional boxers, but also will be promoting his own shows! Jamie answered some questions ahead of his professional debut on 17 March at Irlam and Cadishead Leisure Centre. Talk a bit about your background in boxing? “Paddy geezer Reilly” and at 13 stone 6 and I knocked him clean out in 42 seconds of the first round. but that was short-lived as Scott got into a bit of trouble and Show was cancelled the positive for me as I now had a promoter’s licence with the BBBofC. Why did you decide to be a promoter and a fighter? “With meeting Gary Booth and getting to know him we talked about the promoting of shows and as I had the promoter’s licence he had a trainers and managers licence we could have everything under one roof! “I don’t trust easily in this sport as there is a lot of backstabbing so for me to turn pro under my own banner and to be in complete control of my own money and management, I would only have myself to blame. Not only that Gary and I are fulfilling 2 man’s dreams! How did the link up with Gary Booth come along? Now you’ve turned pro what’s your ambition as a fighter and as a promoter?